This flavour combination sounds absolutely wonderful! And they look great also :D I really could do with one right now. These look beautiful and delish! 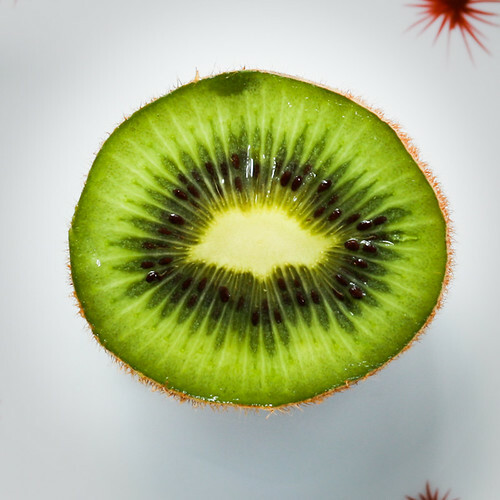 Ohh that’s such a great idea – I love lychee and kiwi (especially in cocktail form! 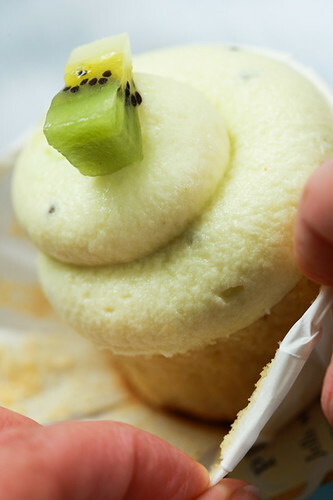 ), but I’ve never thought to give it a try as a cupcake… brilliant! I think it’s a good combination , so fresh, and so tastefull! bravo! The lychee filling instructions mentions calcium water, but it’s not included in the ingredient list? Is it something that comes with the pectin? Thanks in advance for your clarification – looks like a great cake! This is awesome. My husband loves lychees (it is his favorite after pumpkin) and I think this will have to be the next thing I make in the house! Where can I find pomona universal pectin? Can I use any type of boxed pectin or omit it altogether? You can use any pectin. Just follow the directions as best you can on the package. It’s just used for thickening the filling. So worse comes to worse its a little too thin or a little too thick. Nice pics! 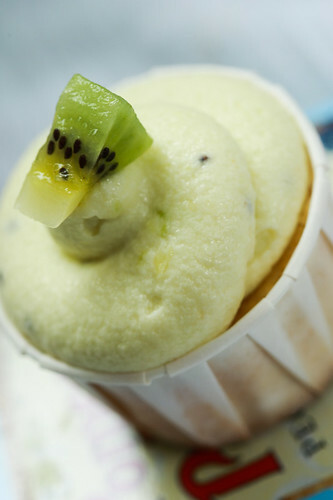 The kiwi frosting looks like sorbet ice cream, makes me wanna eat it…! Hi! Great idea! I’m so excited to try this! Can I use corn starch to thicken the lychee filling instead of pectin? I have done it with raspberry and strawberry filling before? These look amazing. So going to try these this weekend. hi i baked these last week and they were a hit with the office folks! had to bake a second bath cos I didn’t manage to eat one myself. My family loves it too! I didn’t make the lychee filling but simply added diced lychee into the batter and I used french butter cream with kiwi puree, heavenly! You have many recipes I would love to pin to Pinterest for all of my cupcake friends. I’m unable to pin your site for some reason. It would be great if you had a Pin It button so I could link back to your blog through Pinterest! Thanks for sharing your great recipes!